My original idea had been to just build a new content editing interface for Midgard, but as they also were interested, we ended up removing the Midgard dependencies and building Create and VIE as a fully CMS-agnostic interface, a key part of decoupled content management. Back then TYPO3’s next-generation content management system was still going by its codename Phoenix. Its user interface plans and techniques shifted, but by July we felt quite optimistic about the integration. I went to the TYPO3 Developer Days in Switzerland where we discussed both Create and PHPCR. The ideas from those discussions were gathered in what I called my secret agenda for PHP content management systems. But then progress stalled for a while. We met with the TYPO3 developers in the Mountain View Aloha Editor conference, but their plans were still shifting. In summer 2012 we met again in IKS’s Salzburg workshop, and things really started happening. Rens from the Phoenix team joined IKS as an Early Adopter and we started figuring out how to fit Backbone-based Create in TYPO3’s Ember-based user interface. Every major CMS project that has adopted the Create user interface has ended up improving the Create and VIE story, either directly or because they’ve helped by testing and reporting bugs. This has happened with Midgard, Symfony CMF, OpenCms, TYPO3, and as I’m writing this, with Drupal. 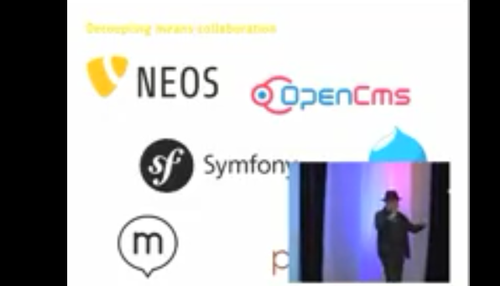 This is how cross-project collaboration should work! All of this meant very hectic work on the houseboat! 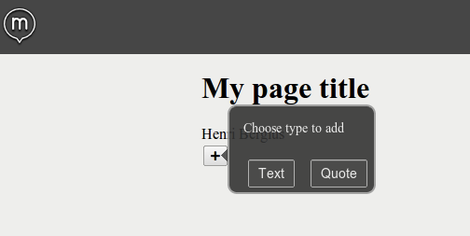 There is also a demo site of Create-powered TYPO3 Neos available. With the work that happened with technologies like RDFa and Create.js, Neos is well on the way towards being one of the premiere decoupled CMSs. I still hope we can help them to migrate to the PHP Content Repository standard instead of running their own. Written in the Drupal 8 Core Sprint in Belgium where we’re building Drupal’s new inline editing interface on top of Create and VIE.